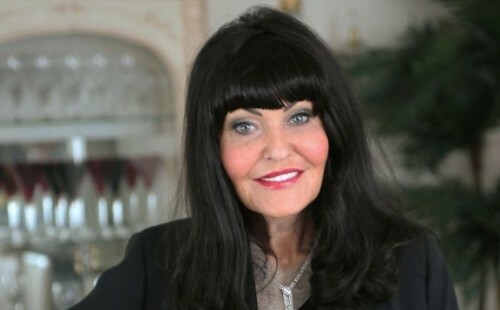 Pan Macmillan is delighted to announce they will be publishing Hilary Devey’s autobiography in spring 2012. Editorial director Ingrid Connell acquired the book from Jonathan Conway in a heated auction that involved ten publishers. Hilary Devey is an award-winning businesswoman who took Britain by storm when she appeared on the BBC’s Dragon’s Den in autumn 2011, with her unique style, gravelly voice and warm down-to-earth manner. She has not talked in any depth about her life but now she’s ready to tell the full story of the girl from Bolton whose talent, resilience and determination have seen her overcome devastating hardships in her personal life and numerous obstacles in her business career. With no financial backing, she battled to set up a revolutionary haulage business, taking Pall-Ex from tiny beginnings to a company with an annual turnover in excess of £100 million, and which has now expanded into Europe.